Woods Hole Oceanographic Institute scientists have discovered a massive cold water coral reef in the Atlantic Ocean off the southeastern US. The scientists believe it's been there for thousands of years. They discovered it last week. 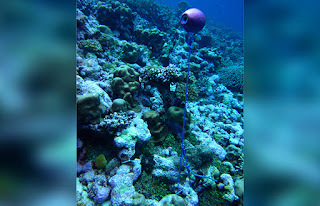 Using their submersible Alvin that's deployed by the research vessel Atlantis, they collected samples of the coral. The reef is massive. It's 85 miles long and at a depth of 1/2 mile. It's about 160 miles off of Charleston, SC. Cameras onboard Alvin captured the sight of the dense, cold water coral reef. WHOI scientists say it's a thriving underwater ecosystem. According to the scientists, the site is covered with mountains of living coral. It's growing on top of dead coral that they believe dates back thousands of years. 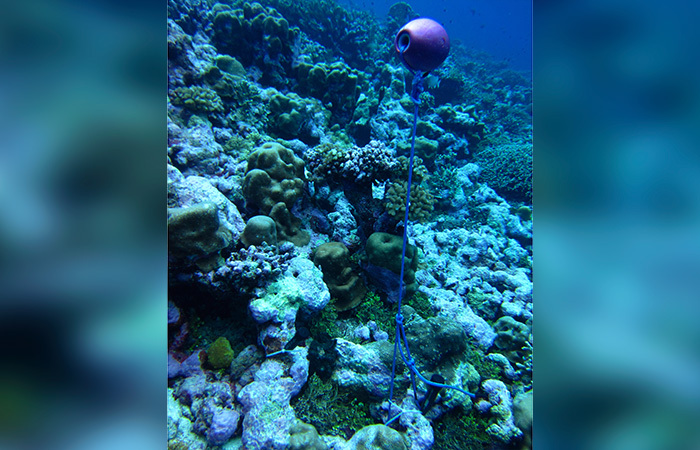 They found large amounts of a coral called Lophelia pentusa, a whitish, branching coral previously found at record depths in the Gulf of Mexico. WHOI scientists wrapped up their exploration on Sept. 2. Their mission is to gather data in order to more accurately predict the impact of human activity on fragile ocean ecosystems and animals.